Six sturdy wooden sign pieces are sized to work with all Whittle World sets. Ideal for building sorting, matching and counting skills and hours of imaginative play! 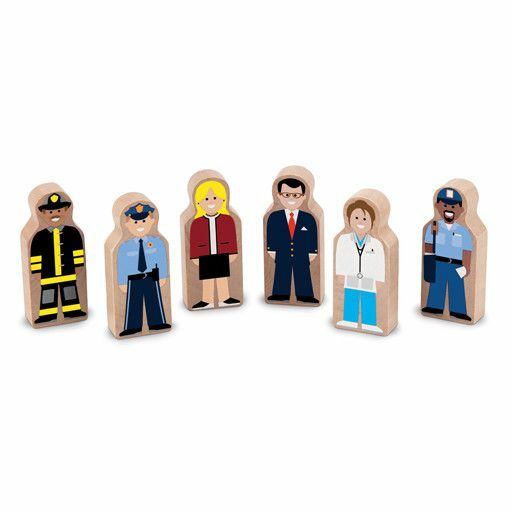 The six wooden people in this set are dressed for exciting jobs all around Whittle World! Add them to any Whittle World play set, or use them on their own as whimsical manipulatives and inspiring play pieces. Six adults dressed for six different occupations fit into all Whittle World vehicle sets and play sets. Each one is made of solid wood and printed with bright, cheerful features.